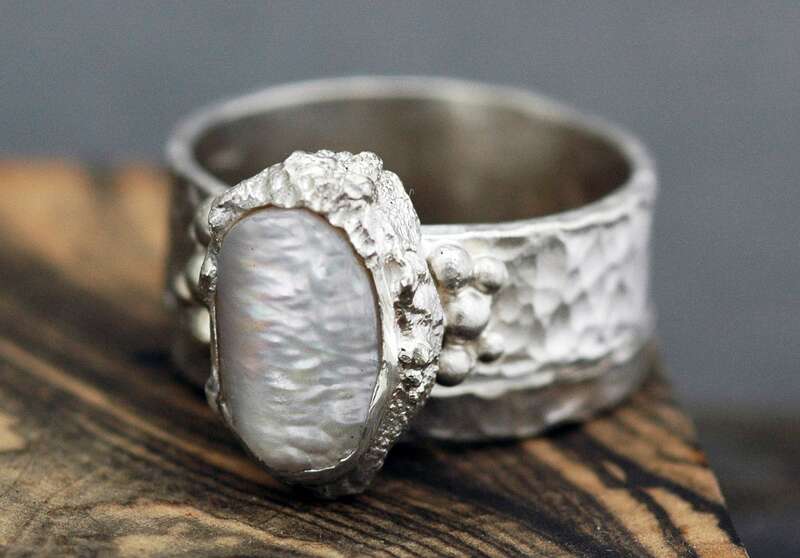 This ring is built around a gorgeous, shimmery biwa pearl. I have formed the edges of the pearl to create a long oval. 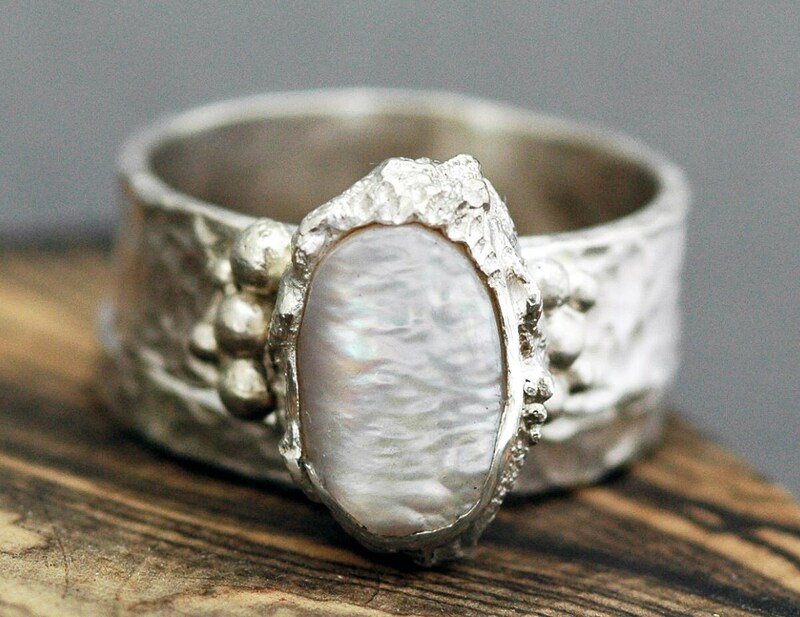 The bezel is an organic formation of sterling and fine silver, accented by sterling silver granulation (orbs). The band on the pearl ring is 1/4" wide. I have given the band a hammered finish in these photos. However, you may order your ring with any of the listed textures on the bands, or any other texture you see in my shop. All of my metals are fully recycled, and are smelted in the USA. 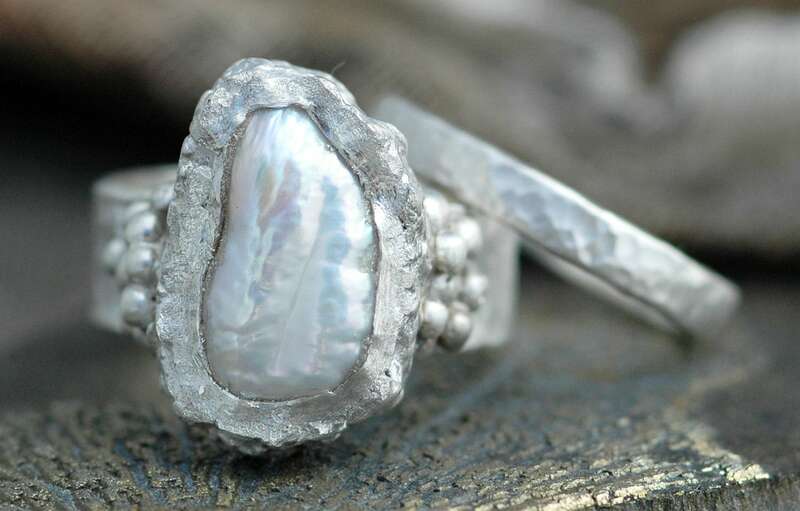 The pearl in its bezel is around half of an inch long or so. 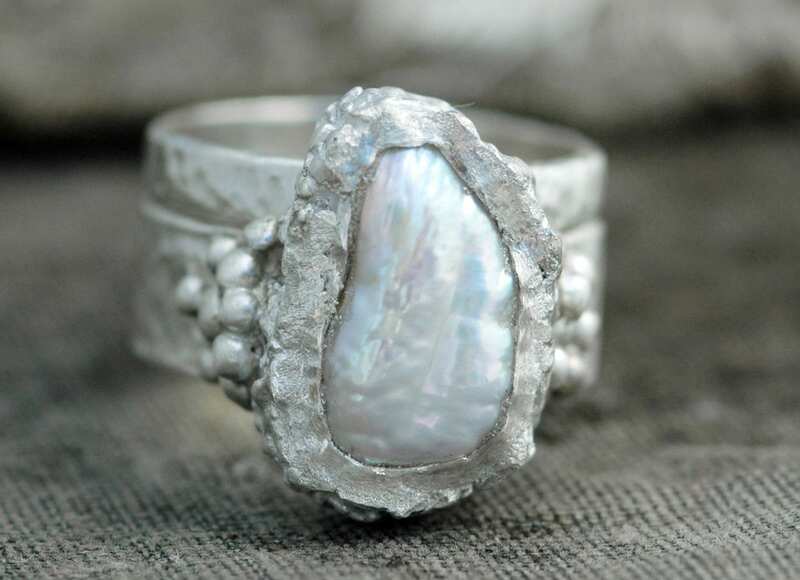 It could be longer or shorter, depending upon the pearl I choose for your ring, and the way in which the bezel forms- this metalsmithing technique is unpredictable and organic, so size can vary. If you have a very specific size request for the length of the bezel, please do let me know, and I will do my best to work within your parameters. 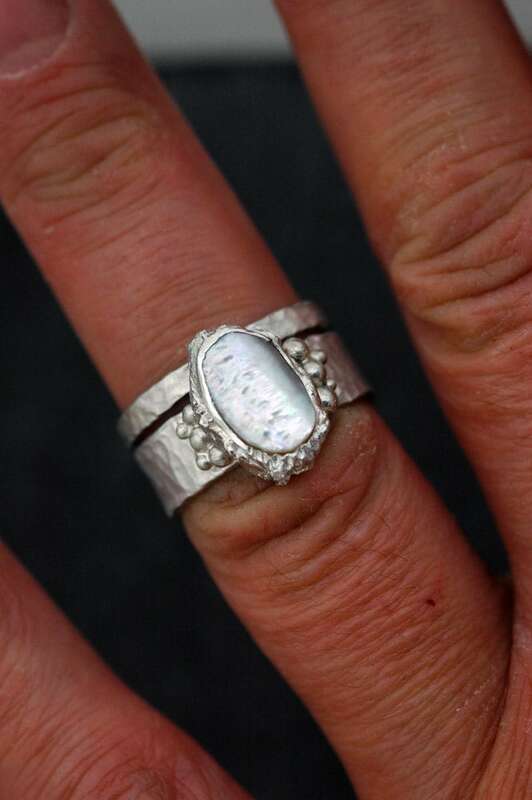 The matching sterling silver wedding band is 1/8" wide, approximately. Get in touch for options for an additional wedding band, in any width.